Actor/comedian Mike Meyers famously did a skit during his tenor on Saturday Night Live, declaring that “If it’s not Scottish, it’s crap!” Those words could not be truer in describing the night of music at The Fonda Theatre, featuring two outstanding indie rock bands from Scotland, a country that seems to consistently churn out a plethora of outstanding bands. 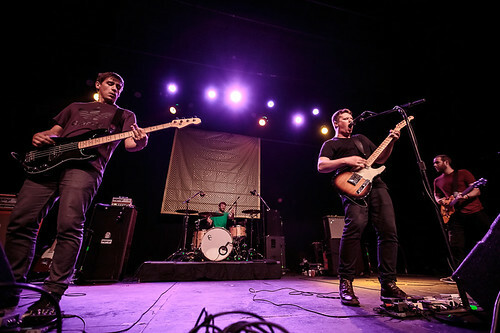 Headlining the night was We Were Promised Jetpacks, a high-energy post-punk outfit from Edinburgh. Armed with a trio of guitars, bass and drums, the five-piece band ripped through a set that featured a mix of old and new tunes, including several off their latest studio album Unraveling. WWPJ played with the kind of energy one might expect from a band closing out a tour, not in the middle of one. Each member matched the verve emanating from the crowd, thrashing away from start to finish. Opening the night was fellow countrymen and label-mates (FatCat Records) The Twilight Sad. 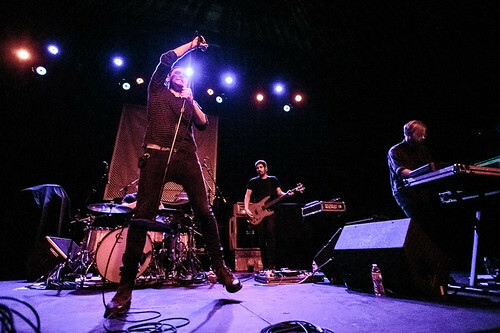 We last saw The Twilight Sad in the spring of 2013 when they opened for another Scottish group, Frightened Rabbit, with a rather toned-down set comparatively from the otherwise lively quintet. But this go-around, the Glasgow natives unleashed a full-on assault of post-punk revival with tunes from Nobody Wants To Be Here and Nobody Wants To Leave, featuring lyrics delivered with a thick Scottish brogue from frontman James Graham. And keeping with the Scottish theme for the night, Graham even dedicated “Cold Days From the Birdhouse” to FR’s Scott Hutchison, who happens to now reside in LA.